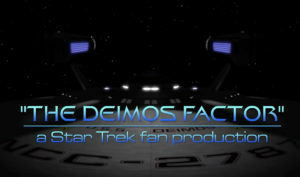 STARSHIP DEIMOS releases their eighth episode: “The Deimos Factor”! 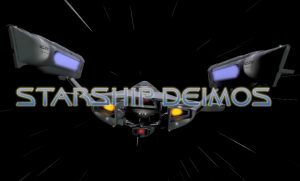 Two weeks after releasing their sixth and seventh episodes just one day apart, the production team for STARSHIP DEIMOS just debuted their eighth episode, “The Deimos Factor.” If it seems like Deimos is pushing its production warp engines to ludicrous speed, it’s actually much simpler than that. All of the fan series from POTEMKIN PICTURES ran into a many-months-long delay last year when show-runner and main editor RANDY LANDERS (who also directed each of the latest releases) had quadruple bypass surgery last August. He’s fine now, by the way. Randy’s ultimate goal is to release one fan film per month under the Potemkin Pictures label, and it looks like he’s rapidly getting back on schedule. With seven different fan “series” in active production, plus the 36 episodes of the completed Project: Potemkin, Randy has released a jaw-dropping 62 separate fan films in 8 years, ranging in length from a couple of minutes to nearly an hour. That’s an amazing accomplishment. I’ve heard a small number of fans recently disparaging Randy and his fan films, claiming there is weak writing or minimal character development or just complaining about the low production values. I say: “Nonsense!!! Malarkey!!! Horse pooey!! !” What Potemkin Pictures has done is to assemble separate casts of people over five dozen times, get them to perform and complete enough full scenes to create finished productions, edit those scenes together, add VFX and music, and release those completed episodes on a very consistent schedule fro nearly a decade. Along the way, they built home-made sets, got inexpensive costumes to look like Starfleet officers and assorted aliens, and even had some make-up. As for the scripts, while not every one is a cinematic masterpiece, they have all managed to be unique and non-repetitive. 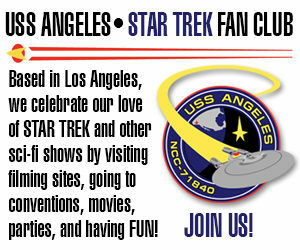 They focus on different characters and different scenarios…just like Star Trek. There are episodes with lots of cast members and ones with just two or three. There’s first contacts, prime directive dilemmas, space battles, mind control, alien rituals, medical emergencies, diplomatic missions, Starfleet bureaucracy and intrigue, personal crises, spatial anomalies, drama, humor, triumph, and tragedy. It’s never the same thing twice. You try to do that 62 times and see how diverse your scripts are! Author Jonathan LanePosted on June 8, 2018 Categories Fan Film Features, NewsTags Potemkin Pictures, Randy Landers, Starship Deimos4 Comments on STARSHIP DEIMOS releases their eighth episode: “The Deimos Factor”! 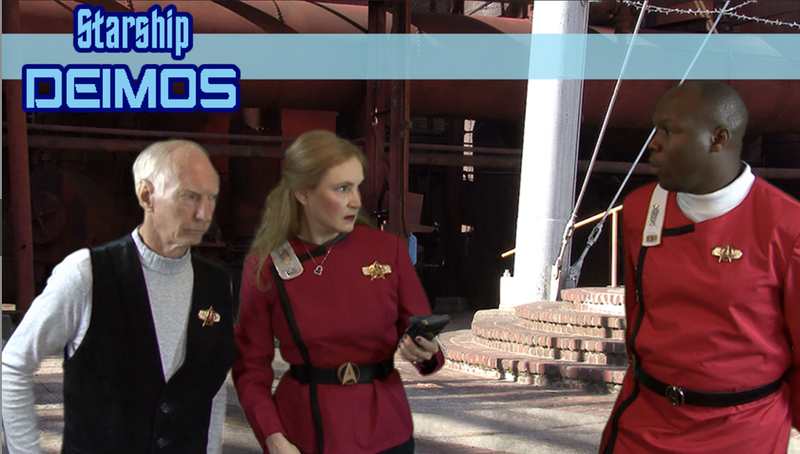 STARSHIP DEIMOS releases TWO fan films in FIVE days! POTEMKIN PICTURES now produces five active fan series (even though they don’t call them “fan series,” since the guidelines don’t allow those) plus another two with episodes in post-production, plus the 36 episodes of the completed Project: Potemkin fan series. You might remember back in early March when Starship Tristan released two new episodes (their 11th and 12th productions) within a week of each other. Now its time for Tristan‘s sister series, STARSHIP DEIMOS, to have two releases, this time just five days apart! In this case, it’s Deimos’ 6th and 7th episodes. Prior to these two, the last fan film to come from the Deimos Production Crew debuted nearly a year ago. The reason for the delay, followed by the quick double release, was that show-runner and main editor RANDY LANDERS (who also directed both of these latest releases) had quadruple bypass surgery last August, and much of the work had to be pushed back. These latest two episodes could not have been more different from each other. The first, “Prodigal Daughter,” takes place mainly on a Klingon battlecruiser and features “action” fight scenes (hey, those aren’t as easy as they look! ), and it focuses on a single member of the Deimos crew. At the end of the episode, we are told there is also a new captain on board, even though we don’t meet him yet. The previous captain, Jeremy Quinn, was played by actor TERRY SELF. The new captain, Mark Stone, is played by TONY ANDERSON, taking his place as one of the few black actors to command a starship in Star Trek fan films. 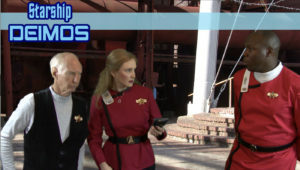 The second episode, “Shattered Sky” (which actually shows the new captain), had scenes filmed on location at a historic landmark in Birmingham, AL, other scenes filmed on their bridge and lounge sets, and still others in front of green screen with composited backgrounds. Nearly all regular members of the crew were featured throughout. So it was a pretty ambitious production, all things considered. Also, Potemkin Pictures has begin to use ADR (voice dubbing) to record dialog separately into a microphone after a scene is filmed. The process results in clearer sound quality, but sometimes the words don’t synch perfectly to the lip movements. Oh, well…it’s a fan film, the The Avengers. You can view all of the Potemkin Pictures releases on their website. Author Jonathan LanePosted on May 14, 2018 Categories Fan Film Features, NewsTags Potemkin Pictures, Randy Landers, Starship Deimos1 Comment on STARSHIP DEIMOS releases TWO fan films in FIVE days! 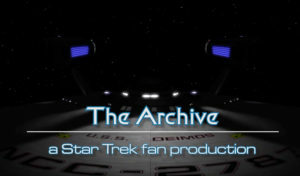 DEIMOS Production Crew releases new episode: “The Archive”! 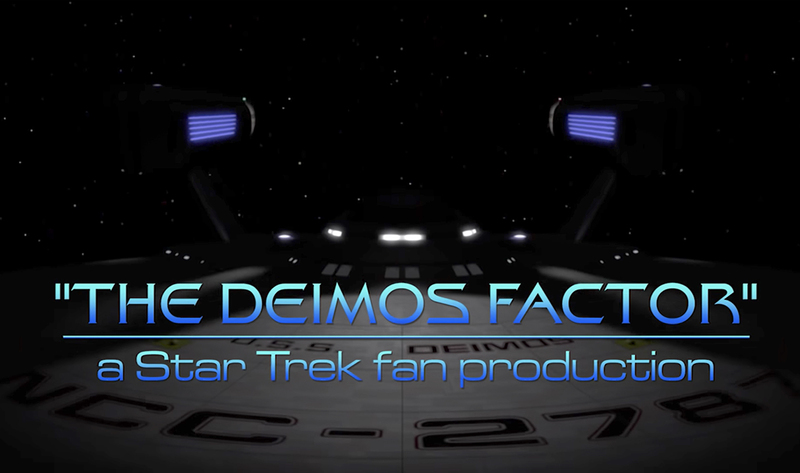 Yes, folks, there are still other Star Trek fan films out there, and DEIMOS is one of them. 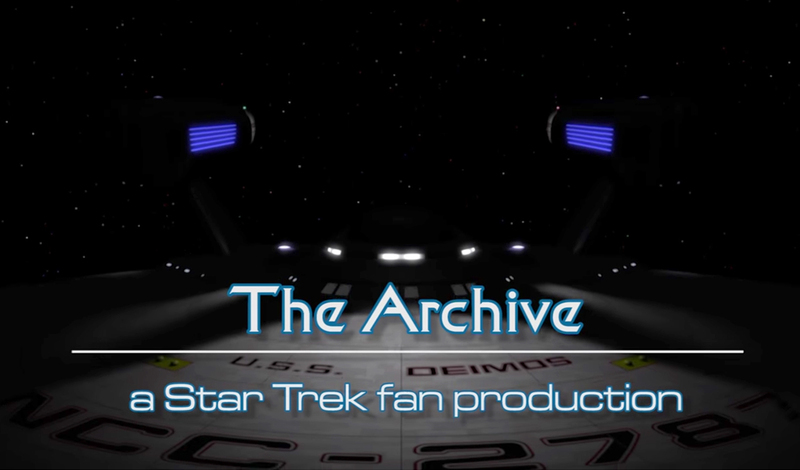 Formerly known as the fan series Starship Deimos, the umbrella”brand” POTEMKIN PICTURES has now dropped their fan series names (because the fan film guidelines prohibit it) and simply has tabs for each of their five endeavors, sorted by production crew. You can view episodes from all the teams on the Potemkin Pictures website. Deimos is based in Alabama and led by Potemkin Pictures creative head RANDY LANDERS. 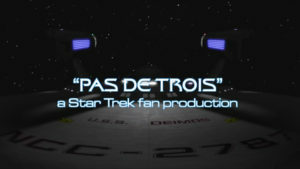 When STARSHIP DEIMOS last released a new episode, it was April…and the fan film guidelines were still two months away. 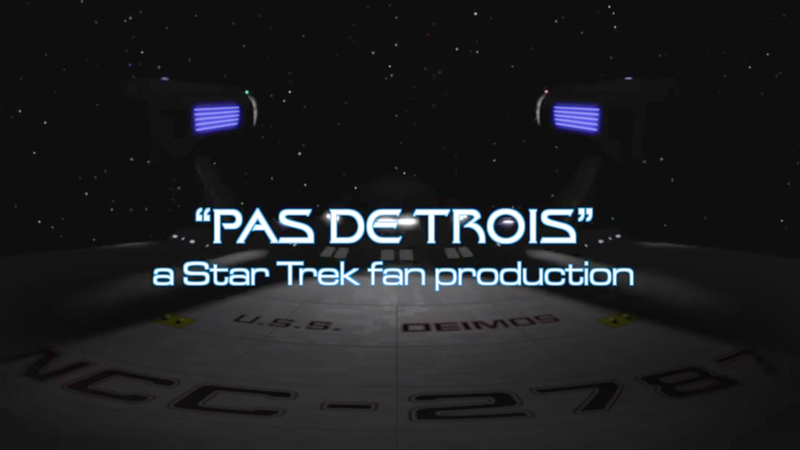 Now it is November, and like its sister productions from Potemkin Pictures, Starship Deimos is also now changing the title of the series with each new episode (since the new guidelines do not allow any continuing series). 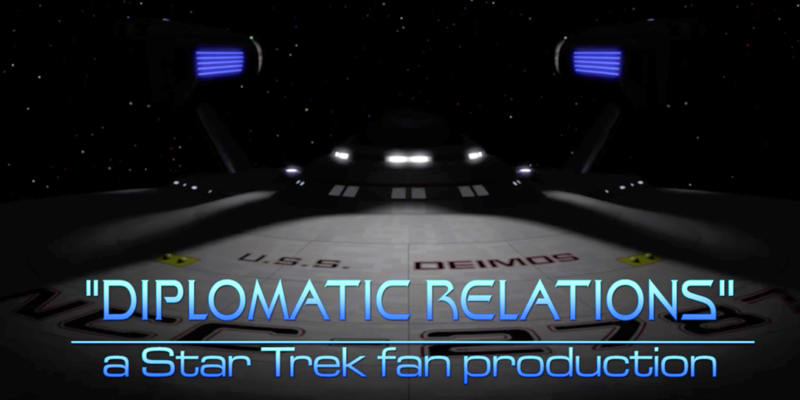 This episode introduces what appears to be the overarching story arc of the series: The USS Deimos is assigned to a region of space where the Federation and two other interstellar powers all have interests. It calls for a delicate mix of diplomacy and cowboy improvisation. Deimos films in Pelham, Alabama, where Potemkin Pictures show-runner RANDY LANDERS moved with his wife last year. Another Potemkin Pictures series called Battlecruiser Kupok also films there. Meanwhile, back in Georgia where Randy used to live, Starship Tristan is filming and releasing new episodes, also under the Potemkin Pictures banner. You can view all their various series here.